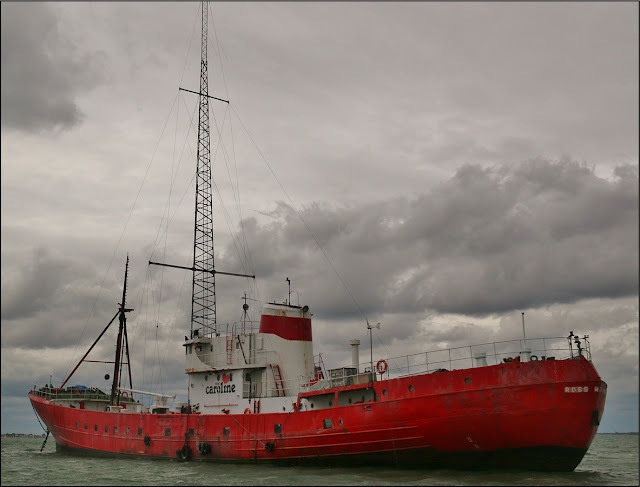 This edition covers a trip out to Radio Caroline, the veteren's cruise to Hampton Court, news of some new equipment to enhance our public presence, a report on our appearance on Countryfile, an award for Peter Dolby, and some winter maintenance news.We hope you enjoy this newsletter! 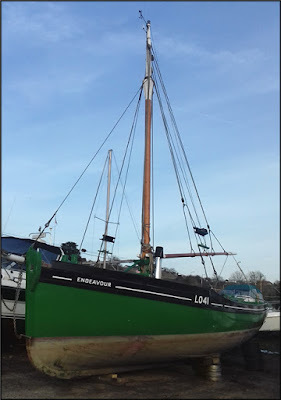 I've been responsible for maintaining the Trust's website since 2010, but although I'd been on board Endeavour while she's moored up at Leigh, I'd never had the privilege of enjoying a trip until this summer. A grey August day saw my wife, Kate, and I rendezvous with my father and our daughters, Olivia and Grace, who'd been staying for a week with their grandparents, at Bradwell Marina on the Blackwater. 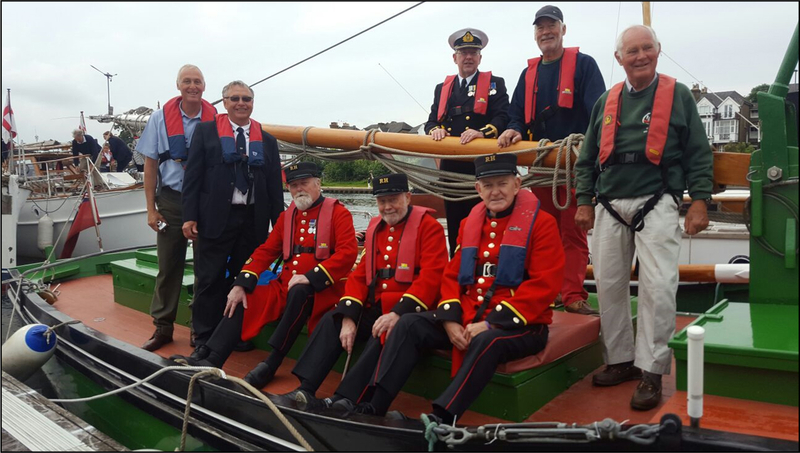 Our Dunkirk little ship, Endeavour, was again invited to take part in the Veteran's cruise this year. It took place over two days, with its base at Hampton Court. 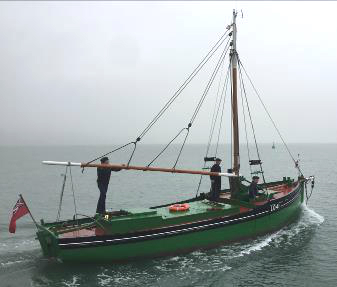 Twenty vessels took part, all members of the Association of Dunkirk Little Ships. We reported in the last newsletter that we had purchased various items of equipment and awaited delivery of a gazebo. 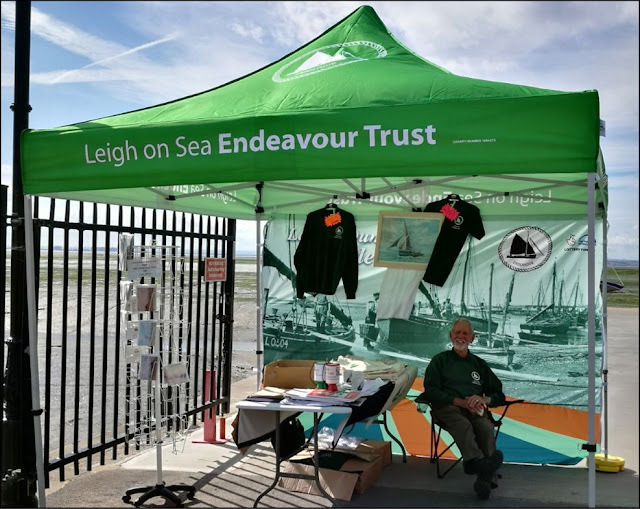 We are delighted that our ‘little ship’ continues to feature in our local newspapers and are particularly indebted to the continued support we receive from the Leigh Times. We are delighted to announce that Peter Dolby has been awarded through the National Historic Ships UK the 'Engaging with the Public Marsh Volunteer Award'. 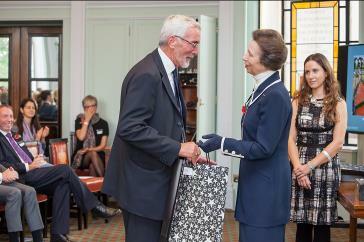 It was presented at Trinity House London by HRH The Princess Royal. We are saddened to report that both Mike King and Michael Dolby announced at the recent AGM that they would be standing down from the committee. We are pleased that Mike will continue in his role as Chairman of Trustees. Mike has been an integral figure of the Trust since it was formed back in 2001 and we are extremely grateful for all his hard work. He was there at the beginning when Endeavour was first found in a parlous condition in Rochester and was instrumental, amongst others, for the successful restoration project. 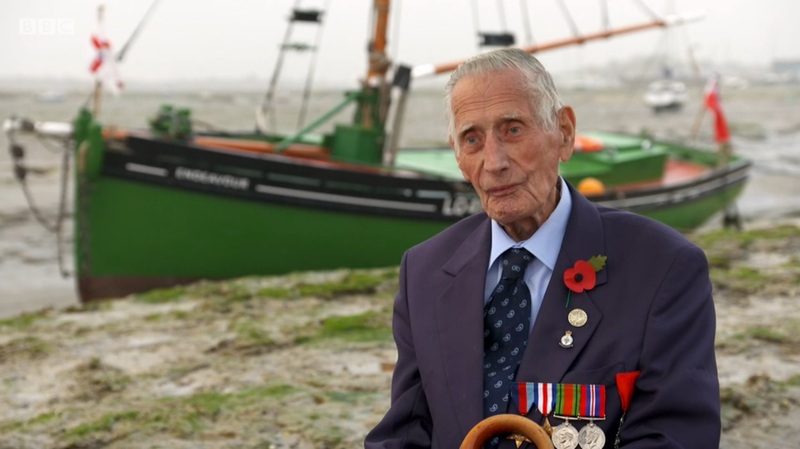 Mike has provided wise counsel on the committee and has overseen Endeavour’s continuing maintenance programme. 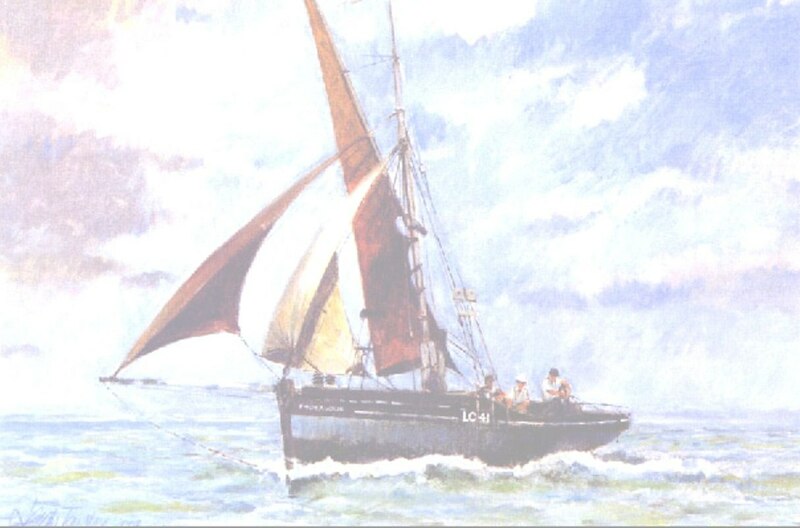 We are pleased to report that the calendars have been selling very well. We have more than covered the printing costs and have about 50 available for sale at £8.50. Right, any volunteers to get that lot off? I’m delighted that we have secured a still image from Warner Bros. Pictures from the film Dunkirk. Using the photograph we have had A5 Christmas cards printed and are available for sale, with envelope, at 75p each. Please be aware that Warner Bros. Pictures have the copyright but have allowed us to use the image, solely for greetings cards and the appropriate credit is on the back page of the card. Please do not reproduce the photograph above. 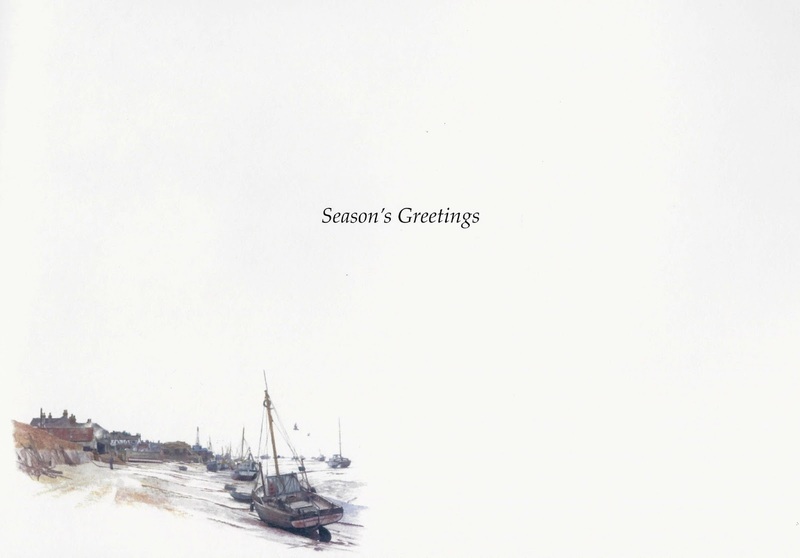 I trust that you will like the card and look forward to hearing from you.